Valve has officially made Team Fortress 2 Free-to-Play in conjunction with the Uber pack update and the new Meet-The-Medic video. On an interesting note, Team Fortress 2 is already 4 years old and it is still receiving updates in the form of bugfixes, patches, item updates etc. The downside for those who love the vanilla version is the presence of all those non-standard items but if you look hard enough, there are several vanilla servers online. 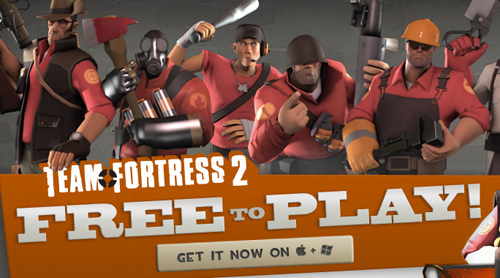 Team Fortress 2 is available for Free via Steam on the PC and Mac (no Linux yet :().